We only stayed one night while traveling to Oregon. This facility had nice pull through sites, nice clean restrooms, cable tv, and a nice dog walk. We did not use the laundry or pool but both looked nice and clean. 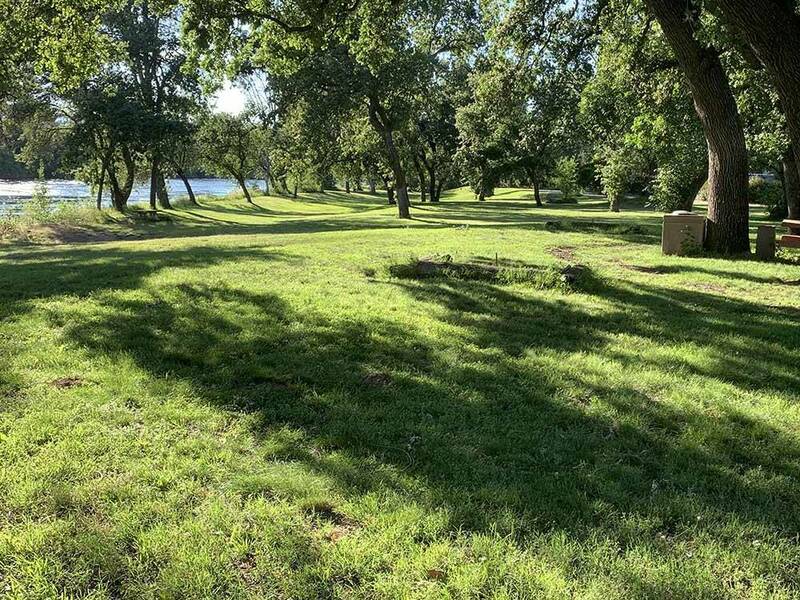 The park is adjacent to the Sacramento River and the grass area between the park and the river is real nice. The day we stayed was extremely hot. We would stay here again. Lovely sites by the river. If you want a beautiful setting without the interruptions of internet or cable TV, then this is your place. It is located on the river, but be sure to ask for one of those sites. The others are a parking lot. 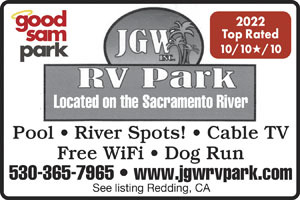 However, there are several other parks in Redding that have a great location, working internet, cable TV, and even continental breakfast...all for less!